It’s a very busy time of the year for courier companies and while they do put on more staff and work longer hours they still struggle to process everything and get it delivered before Christmas Day. We are based in Sydney, Australia so deliveries to Sydney Metro will be delivered if orders are placed prior to Wed 19 December 2018. Here is a simple table of order cut-off dates if you need your wines delivered by Christmas Day. Of course, if your order is not required before Christmas Day just let us know. This policy applies to products purchased from the winegoblet.com.au and all prices shown are in Australian dollars and include GST. We offer a flat rate fee of $14.99 per parcel. All items on our website listed as “available” are considered ‘stocked’ unless identified as ‘SOLD OUT’ or ‘PRE-ARRIVAL’. Pre-Arrival items may be purchased for a limited time only and reflect a significant discount but may not be available for delivery for up to 6 weeks. Wine Goblet reserves the right to alter or remove Pre-Arrival offers at any time. We use www.sendle.com as our primary shipper but we may also use a combination of delivery services including Australia Post. 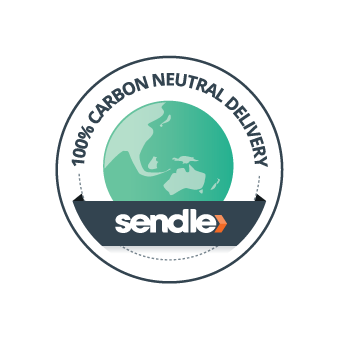 Sendle is Australia’s only Carbon Neutral logistics company…we like that. Wine Goblet MUST ship all orders to you. There is no option for you to “Collect” your order from Wine Goblet due to the restrictions set out in our liquor license. Shipping is currently only available within Australia. International shipping will be provided only via prior arrangement and is not subject to any of the pricing herein listed. A signature will be required on delivery unless you opt for “Authority to Leave” so please make sure that you provide a delivery address where someone will be available to receive your goods. If no one is available to sign for the goods, the parcel will be delivered to the nearest depot for pick up. We won’t ship any wines during extreme weather conditions that most importantly include high temperatures. We prefer instead to ship in cooler weather but we will contact you to let you know if we are delaying shipment for this reason. Orders will be processed for shipping daily. Delivery times may vary depending on your location. Remember we have to ship your order, you can’t come in and pick your order up from us. Once your order is processed and shipped we will email you with a link to track your order. A parcel = anything from 1 bottle to 12 bottles. Should you order 13 to 24 bottles your freight will automatically be calculated as 2 parcels, 25 to 36 bottles = 3 parcels and so on. From time to time we will offer special pricing for shipping rates. All shipping is automatically calculated at checkout. Wine Goblet stands behind each and every product we sell but we understand that sometimes a wine may be faulty or not to your liking so we provide a return process that we hope is as simple and easy to use. Most returns will be at our expense but may be at your expense depending on the circumstances. Should a product be faulty, you must contact us immediately at chris@winegoblet.com.au and describe the problem. We’ll get back to you as soon as possible to arrange the possible return of the product and a replacement or refund. Should you simply not like a product or find a product not to be what you were expecting, contact us at chris@winegoblet.com.au and let us know. We’ll get back to you to have a chat about it first, it may result in a refund, or replacement and a return.